The Jabra EVOLVE 20 UC Stereo SE Headset is a corded headset that provides users with value and great usage, especially with its easy connection to computers through USB. It also uses a simple plug-and-play connectivity that provides users the convenience of using the headset in different devices, whenever and wherever they need to. Perfect for both noisy and quiet offices, this device is also the epitome of comfort, with its easy-rotating microphone boom and soft ear cushions. 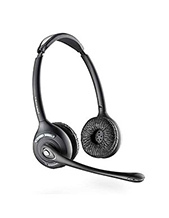 Jabra EVOLVE 20 UC Stereo SE Headset is usually used together with modern softphones in a professional set-up, whether in a call centre environment or for receptionists in different industries and offices. 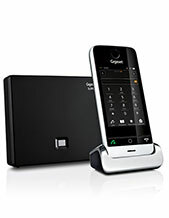 This is due to the device’s easy control for call answer and release embedded in the headset. Do you want to own this headset today? Call us now at Australia wide 1300 131 133 to know how you can purchase this item. A subsidiary of GN Netcom, Jabra is a popular name in today’s market linked to quality headsets. 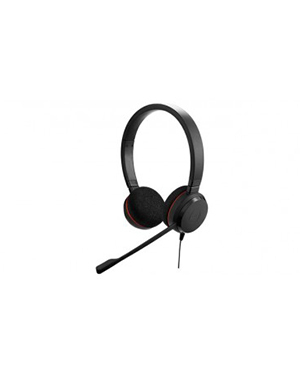 The company is a well-know developer, manufacturer, and distributed of corded and wireless headsets that can be connected to all sorts of devices and used in various industries. Most of these headsets are easily connected to mobile phones and computers and used in offices and contact centres. Jabra, founded in the year 1983 by Elwood Norris, is an enterprise that operates in the Business and Consumer Electronics industry. With its roots deeply connected to the Utah enterprise Norcom Electronics Corporation, it has focused its operations in developing and manufacturing ear-microphone technologies and ear-radio solutions. Jabra is headquartered in Copenhagen, Denmark, and operates in the international market from there. Currently, it is considered the leading and frontrunner in providing customers the comfort and flexibility that headsets need for a long-lasting usage. And this has become evident in their offers. HeadsetsOnline is an Australian supplier and wholesaler of high quality headsets of varied conditions, widely known for being a division under a company that has been delivering government institutions and large corporations with their needed headsets since the year 1998. With decades of experience in the market and industry, the company has become an expert in figuring out what customers need the most based on their needs and preferences. HeadsetsOnline only delivers products and solutions that pass Australian standards. With all warranties covered, the company makes sure that every product it offers are of high quality and second to none. This is further ensured by the company’s strict product testing and evaluation process. 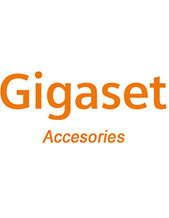 HeadsetsOnline does not only offer quality but also cost-effectiveness. All of its products and solutions are offered in flat shipping rates and are ensured to have no hidden fees, wherever they are delivered all around the country.